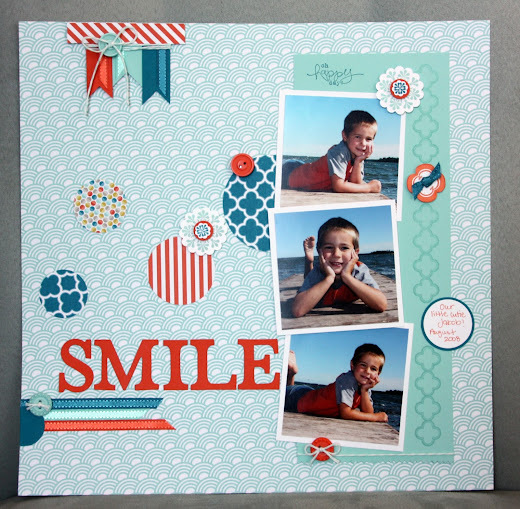 Today's project is a scrapbook page I made of our oldest son Jakob at the lake. I love these super cute pictures of him. This page was made using Sycamore Street Designer Series paper, Sycamore Street Ribbon & Button pack and Madison Avenue Stamp set. great job amy - you are very talented!!!! Hope you guys are doing well! !